An Accident Waiting to Happen. Again. Air Facts contributor John Zimmerman recently wrote about watching a pilot massively overload an aircraft and then proceed to takeoff from a short runway on a hot day, barely avoiding disaster. He then asks how we should respond when an aviator is witnessed performing a Stupid Pilot Trick. Do we confront them? Call the FAA? Shrug and walk away? What is our responsibility, and when are we morally obligated to get involved? It’s a difficult question to answer, especially for those of us who are not confrontational by nature. 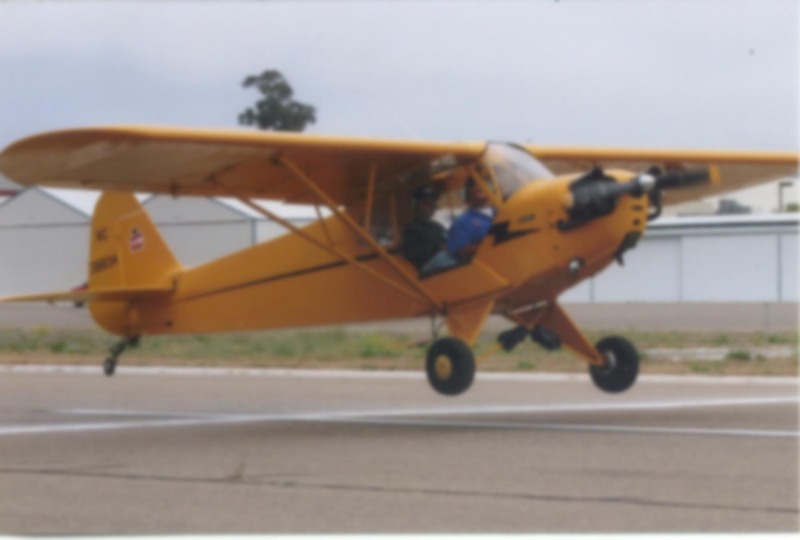 It’s something I’ve been struggling with lately, as Zimmerman’s article brought to mind a mind-blowing encounter I had with a Darwin Award candidate while conducing some commercial checkride prep with a student at a local non-towered airport this week. Peter and I were working on high-performance landings and power-off 180 degree accuracy approaches when we witnessed a vintage Skyhawk enter the pattern on a 45 degree final. He proceeded toward the runway at low altitude, clearly out of glide distance of the runway while over a densely populated residential area. He then landed and taxied to the fuel pit without so much as a single radio call. Even the exterior lights on his aircraft were off. At first this might not sound like a supremely egregious violation of good piloting practice and common sense. The lack of radio communication could be explained by any number of possible scenarios. Maybe the pilot was transmitting on the wrong frequency. We’ve all keyed in the wrong digits on at least on occasion, right? Perhaps he had an electrical system or radio failure, or a bad push-to-talk switch. The wrong radio could have been selected on the audio panel. The pilot’s headset could be faulty. Let’s also remember that aircraft at non-towered airports aren’t legally required to have a radio, let alone use one. In other words, the aircraft’s actions could be explained by information I didn’t have at my disposal. Unfortunately, none of those things were true. The pilot wasn’t a random visitor to this airport. After we landed, I immediately recognized the N-number and paint scheme on the aircraft: this guy had been in a mid-air collision at that very same airport six years ago! I remember it well. It was a very busy weekend day after an extended spate of stormy weather. In other words, everyone and their mother was at the airport that day to go flying. The pattern had been buzzing with traffic. On that memorable day, our silent hero had made the same non-standard pattern entry at the same low altitude, and did so with no communication despite the fact that his airplane has a fully functioning radio. As if this isn’t enough, the pilot in question is also an instructor and I personally heard one of his students testify that he teaches them not to use the radio. His logic? “It’s better to focus on flying the airplane”. Anyway, according to multiple witnesses on the ground, he’d overtaken another airplane from below and behind and the two airplanes had collided on short final. There were no injuries, and miraculously enough, damage to one airplane was minor while the other came away literally unscathed except for a dent on the horizontal stabilizer. You’d think it virtually impossible for a mid-air to be survivable, but it does happen. The final approach collisions typically have one aircraft descending on top of another since they’re both aligned with the runway. The relative speed — and therefore, energy — of the collision is about as low as possible for two airplanes in flight. 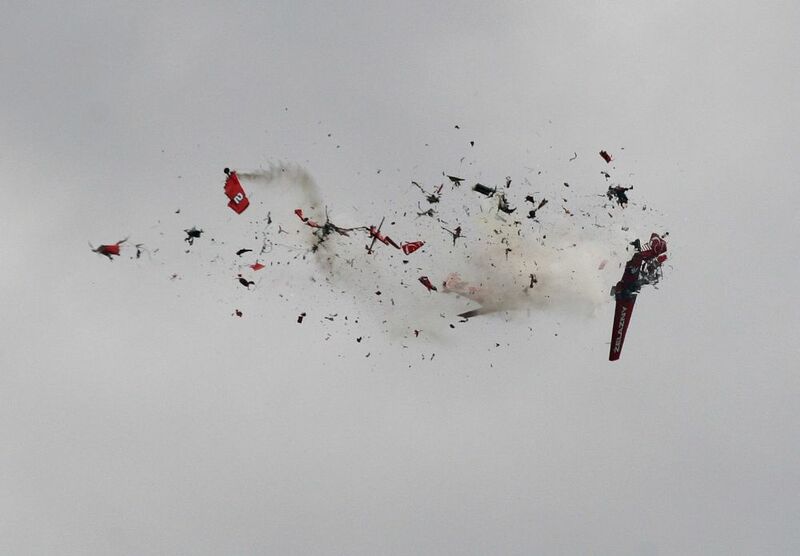 These accidents don’t always have happy endings; the 2007 P-51 midair at Oshkosh one such example. Even then, one of the two Mustang pilots survived without injury. But there are also many instances of non-injury mid-airs. There was one between a Gulfstream jet and a King Air while on approach to Van Nuys Airport in October, 2000. Last July, two aircraft collided in cruise flight in Alaska without injury to any occupants in either plane. Anyway, flash forward to today. Peter and I are taxiing back to the runway after our landing and as we roll past the fuel pump, I feel myself getting more and more angry. Not so much about what happened in the past, but that the pilot of that airplane learned absolutely nothing from his experience. He still has a radio and refuses to use it. He still makes non-standard entries and sneaks in below other traffic without yielding. It astounds me to know that even a mid-air collision was unable to convince this guy of the errors of his ways. NTSB accident statistics clearly demonstrate that see-and-avoid cannot guarantee traffic avoidance. Your odds are best when you use all the tools available to you, and that includes standard traffic procedures, radio usage, aircraft lights, etc. The moral of the story is that there are other people like him out there. What is our responsibility when we encounter one? If they kill themselves, fine. As they say, it’s a free country. But what about the folks they take with them? The students they teach bad habits to? The awful reputation they give to general aviation? The chaos they create even when nobody gets hurt? Aside from talking to the pilot (and I’m fairly certain that wouldn’t do much good), there’s little I can do in this situation aside from using it as an teachable example for my student. Except for the vague and variable definition of “careless and reckless operation”, the pilot did not violate any regulation I can think of. Radios are not required. Standard pattern entries and published TPAs are recommendations. We never got close enough to cause a near-collision situation. But mark my words, this guy is going to cause serious damage someday, even if it’s only second-hand through the poor technique he’s passed along to students. He is, without a doubt, an accident waiting to happen. Again and again. And that, my friends, is why I avoid AJO on weekends. Seriously, this type of pilot and his bretheren cause non-towered airports to live up to the name “uncontrolled airport”. Thanks, Mike. Glad to know I’m not the only one who a) encounters these guys, and b) isn’t quite sure how to deal with them. BTW, I’ve tried to make a few comments on the entries on your site but the comment form seems to be broken…. it won’t let me submit them. Place a call to the local FSDO, perhaps? No idea if it would do any good, but that’s probably what I would do because it would (partially) clear my conscience. Maybe a friendly call from an official might get the pilot to reflect on his future actions. He might be anti-authority, or he might behave like most normal humans and modify his behavior once he knows he’s being watched. It’s not about punishment but modification of future behavior, I think we’d agree. I’ve had comparable situations on the road, fortunately not in the air so far… But I called CHP twice in a week earlier this year, both at night, one almost certainly a drunk driver (he was using all four lanes), one speeding with lights off in a black car. Both damn near took me out and I watched both idiots for about five seconds before zipping off the freeway to place the 911 call and report as much of the license plate and vehicle description as I could. (Aside: using phonetic alphabet seems to generate instant attention in dispatchers!) No idea what happened to the potential DD, but I saw the stealth mode driver talking to a CHP officer ten miles farther up the highway. Could have been coincidence, but in both situations I went to bed that night knowing that I’d done all I could to prevent some family getting taken out. Good on ya for calling 911 about the drunkies. If I suspected someone was operating a car or aircraft under the influence I’d do the same thing. As far as the pilot is concerned, he’s already had to talk to the FAA after nearly getting killed in a midair collision. If *that* didn’t persuade him to change his ways, it’s hard to imagine another call from the FSDO having much effect. I’m not sure why he’s unwilling to change. Perhaps it’s that he looks at the regulations and doesn’t see one he’s breaking. Beyond the lack of common sense in his actions, I don’t see one either. “Careless and reckless” is something which is defined on a case-by-case basis by the FAA. Unless there’s an accident in which the FAA gets involved, the odds of his being dinged on that score are just about zero. Now, were it up to me, I’d bench him based on 91.13(a) in a heartbeat. Interesting article! Thank you Ron for sharing with us this informations 🙂 . I was on short final at AVQ (from reading your blog, I know you’ve flown there) when the pilot of a 172 that had been in the runup area taxiied onto the runway right in front of me. I radioed “(callsign) going around due to runway incursion” and went around. Later, after I heard their callsign, I politely informed the pilot that he might want to check for other traffic before taking the runway. A different, female, voice came on the radio (the first one had been a timid-sounding male) and said, “Well, I’m sure you’re perfect.” Turns out it was a CFI with a student, neither one of which apparently learned anything that day.